A Columbia City, Indiana family is suffering through a terrible tragedy, and it seems to correlate with vaccine injections. Michael Whitesell was only a touch over one year in age when he was found to have died in his sleep. On October 19th, 2015, he was taken to the Doctor and received the following vaccines: MMR, flu shots, hepatitis A, varicella. All in all the shots totaled out to be 6. 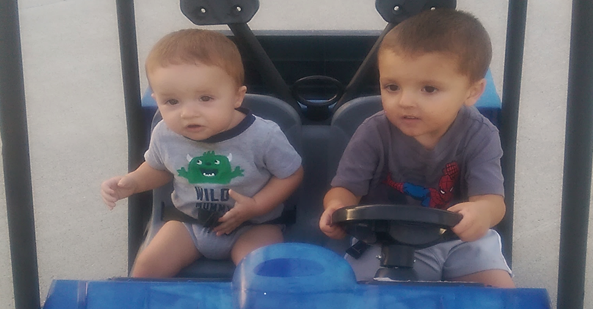 Three days after receiving the shots, he came down with a fever. He was given Tylenol at the request of the Doctor. This seemed to be effective, until the next day, when his mother found him passed away. His dad attempted CPR and they called 911, but unfortunately, Michael had passed away to the angels. Due to the position he was found in (on his stomach), suffocation was looked into as a cause of death, but quickly ruled out. Tylenol is not ruled out as a cause, but what seems to be most pervasive here is the huge load of vaccinations the child was given, particularly in the smallest of time frames. 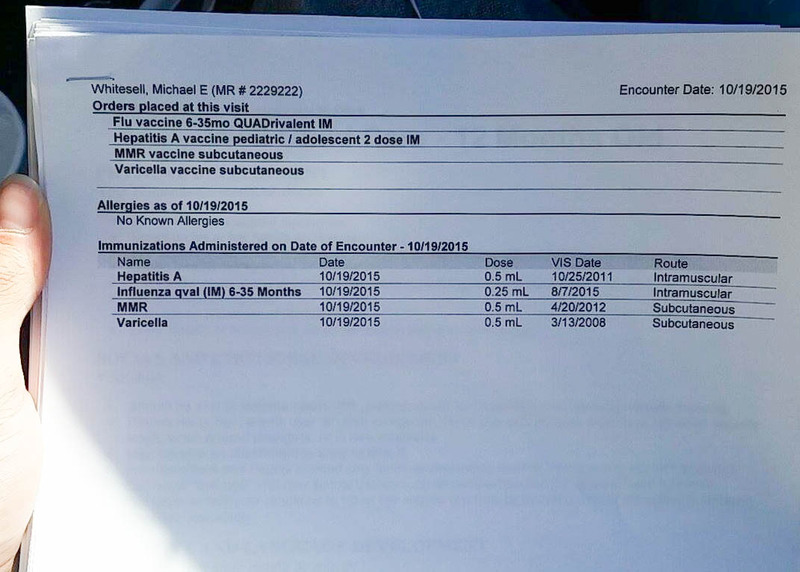 VacTruth.com has a full history of the child’s life, as well as this document showing the actual vaccines given to Michael on that day. This is a ridiculous chemical load to put on a 1 year old. How could any parent feel safe having a Doctor administer this amount of vaccine into a small, fragile child? 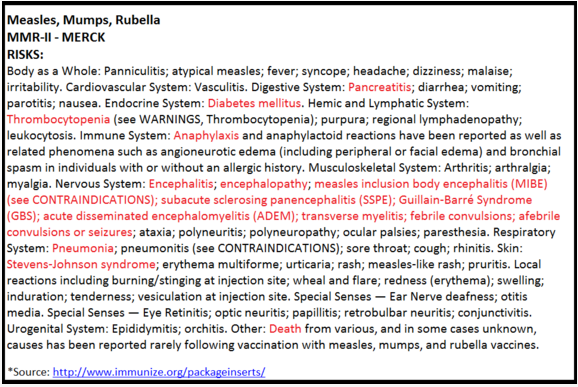 MMR vaccine package inserts list death as one of the potential side-effects. Look over the insert for yourself. Our deepest condolences to the Whitesell family.